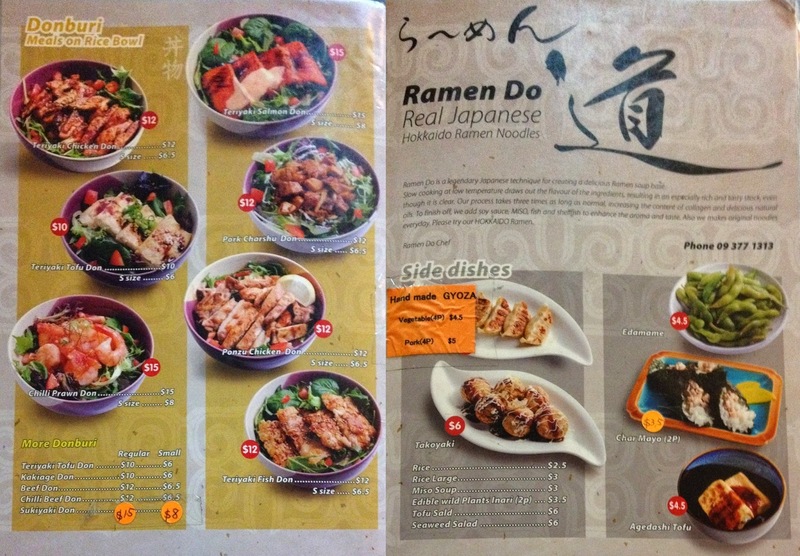 Ramen Do is the one of the best, if not the very best, ramen place we have sampled in Auckland , so I am not sure how I took two and a half years to write this post, after previously only giving it a quick mention. Since we first visited, this Japanese eatery not only has a new website, rearranged their furniture, and learnt to make perfect eggs with a translucent centre (originally they were simply hard-boiled), but they have also opened a new branch in the central city [Added 7 November 2014: this didn't do well and has closed]! Small venue on Symonds St made larger by a mirror and high ceilings. As they proudly proclaim on an embroidery on the wall, their flavourful soup bases take two days to produce, and they also make their own noodles in-store. Wall hanging with a message for the customer. The signature dish is the Hokkaido Miso Ramen, which contains slices of BBQ pork and pork belly, a ball of minced pork, and half a beautifully boiled marinated egg, in addition to the noodles, broth and garnishes. We particularly appreciated being given a small suribachi and surikogi set for grinding whole sesame seeds, which released a strong and fragrant aroma. Another dish we keep having over and over again is the Tsukemen, which consists of firm, cold noodles in a separate dish from a concentrated and rich soup for dipping. The first time we ordered this, we had no idea what to do, and poured the sauce over the noodles! The soup comes with pork slices and half a marinated egg, as well as a teapot of what appeared to be the noodle-cooking water, so you can thin the salty liquid and turn it into a tasty broth after your meal. A great choice if you prefer a bit of bite to your noodles, as you control how long they sit in water, though everything does tend to be more luke-warm than hot. If you stray away from the restaurant's main focus, the food you get will not be as tasty. For instance, the vegetable ramen felt thin and watery, though the vegetable toppings themselves were fine.. The takoyaki we tried were somewhat undercooked in the middle. Takoyaki, a bit soft and undercooked in the middle. The edible wild plants inari were very enjoyable, though not amazing the way the top ramen were. Moral of the story? 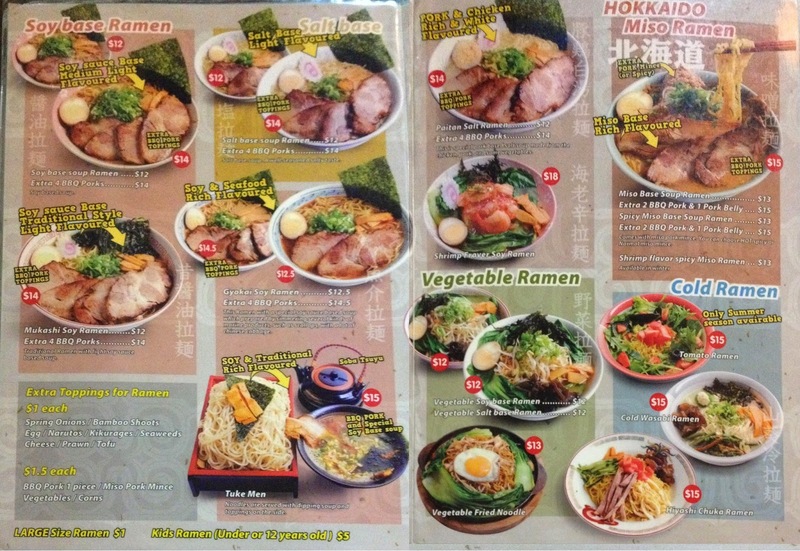 Stick to Ramen Do's consistently excellent specialities! We love the Hakkaido miso ramen ($13) and the Tsukemen ($15). There are a couple of vegetable ramen options, with plenty of vegetables in them, but the soup base is obviously less flavourful and interesting than the meaty versions. Ramen is a little shop on Upper Symonds Street.